The short: this is a Healing Retreat Center with an abundance to do and experience, or a chance to relax and do nothing at all! The long: When you’re ready to detox your mind, body, and spirit, learn lessons and receive answers to some of your most pressing questions, visit Rythmia. This is a long review, but bear with me, it has a happy ending. It was my first time to Costa Rica, and Rythmia was the only reason I was visiting. I needed a break and needed to focus on me for a moment. 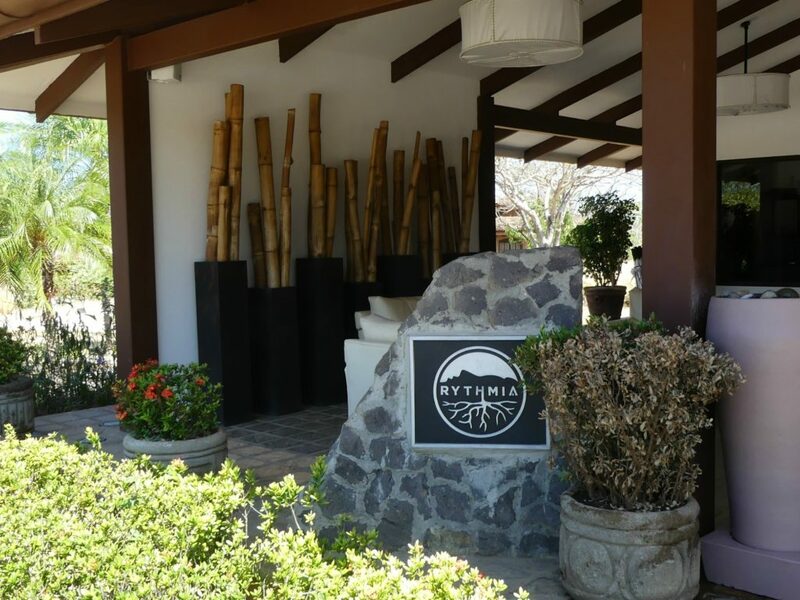 A friend recommended I visit Costa Rica and another friend knew someone working at Rythmia, and after reviewing their website, I decided to make a reservation. I arrived in the middle of March – the dry season. Located in the northwestern Guanacaste Province, I wasn’t prepared to see brown all around. From all I had heard about Costa Rica, I was expecting lush green foliage and humid conditions. Boy, was I surprised! Let my healing begin! My arrival began with a 25+ minute wait for my driver. Lesson number one: have patience. Shortly into our ride, we stopped at a gas station to fill up, and I purchased a bottle of water in the mini-mart. Thank goodness I had some cash on me! An hour and a half later we pulled up to Rythmia where there was a flurry of activity. A large group had been in attendance for Kyle Cease, and I was overlapping their check-outs. I was greeted and seated with a bottle of water and a folder with my name on it. There were four pages that needed my signature. It was rather intense, after a flight and long drive, to be mentally aware to discern the rules and regulations of this medically licensed resort. I signed the pages and then proceeded to a nice air-conditioned room where my photo was taken. The purpose of this picture was so that staff could recognize you and address you by name. Personally, I felt it would have been better if they did a “before and after” photo. (Hint, hint, Rythmia!) After, I was whisked off in a golf cart to the Medical Intake/Psychological Diagnosis with Dr. Jeff. I was cleared for Plant Medicine AKA Ayahuasca and handed over the required cash so I could receive my tokens for the Ceremonies. Quick note: I did not know that the Plant Medicine was Ayahuasca until a few days before my trip. I was under the impression that I’d be learning about how to use plants and trees to make medicine. I was most drawn to this option, but not interested in Ayahuasca. However, my intuitive interest in “Plant Medicine” alerted me that I needed to trust this, and participate in a ceremony. And I did! I participated in five ceremonies! More on that later. Gerry Powell, the creator of Rythmia, had a trip of his own on another type of Plant Medicine, Iboga. It was during this trip that he received clarity about his life, and miraculously this instantly changed his life. He had a vision; he needed to create a center where others could receive healing and miracles. Your stay at Rythmia has one pre-requisite: receive your miracle. This is a luxury retreat center for Costa Rica. It’s not quite Four Seasons, as I’d hoped, but still comfortable and spacious. Room 45A – spacious, and yes, over the bed is Jesus with the lamb. All rooms have different art, but quite honestly, this put me at ease. Clean, sufficient storage, hair dryer, and amenities. What more do you need? These are the bath amenities provided for you to use during your stay. Please note that there is no body lotion. When you arrive, you will receive a Rythmia tote bag with these goodies inside! One of the things I loved most about the rooms at Rythmia, was that there was a Salt Lamp in every room. Breathe easy; the air is being cleaned. So serene and peaceful, nature and humans coexist harmoniously. The resort blends relaxation into its surroundings. Sitting poolside, listening to the sound of the wind married with gentle chanting music, this is where I spent most of my time, day and night. There is no shortage of places to contemplate your well-being. The Yoga “Flight Deck” – a place for stretching, clearing and Zen. The Dead Sea Cleanse – Colon Hydrotherapy – Clean out your colon! Ahhh, it is so lovely to have years of crap cleared out of my body! For those who have never had this done, let me tell you, you will feel much lighter and ‘relieved’ in so many ways! Massage – You will receive tokens for 50min massages, and I highly recommend you take advantage and use them! All the massage therapists are excellent! One caveat, if you want a light touch, it is important you let them know! Otherwise, you will receive one of the deepest deep tissue massages you’ve ever had! The ladies are no joke! Mud Bath – Oh what fun it is to be covered in mud! It’s like being a kid; playing with mud and it’s okay! Smear it on your face and your body (wear a swimsuit you don’t care much about), let it dry, so you look like a statue and then rinse off and get in the hot jacuzzi or cold plunge pool! Fun! Aura Photography – Have your photo taken and then learn what’s showing up in your energy field! You will be given a full report (a multiple-page printout) with insight into your personality and areas where you might not be in balance. Yoga – Offered twice a day, at sunrise and sunset, get your stretching on and help your body assimilate to all the healing you are processing. If you’ve been medically cleared to participate, you will receive tokens for Plant Medicine Ceremonies. This is not to be taken lightly. Ayahuasca is not a drug and having respect for your body and nature’s remedies will enhance your experience. I had never considered doing Ayahuasca before coming to Rythmia, yet I was drawn to the Plant Medicine. I conceded because I felt I was in a safe space. Gerry created a VIP experience complete with your own mattress, pillow, blanket, eye mask, and bucket. Yes! Your very own bucket! I was also grateful to know there were doctors on the premises and thus honored my calling to participate. Getting the room ready for Ceremony! In the evening, the doors and windows are opened, and the breeze that comes through is delightful! It feels like you’re sleeping under the stars and outside! We’re about to begin so pick a mattress, any mattress! There are different types of journeys to be had, and your experience will be specific to you. Since I participated in five ceremonies, I had a myriad of highs and lows – purging and visions, psychedelic trips and consults, and I slept too! 1. Wear loose clothing. As loose as possible. Ladies, I highly recommend you do not wear a bra. You do not want to wear anything that is tight across your body or difficult to remove. Especially with pants or shorts, elastic waistbands are recommended. 2. Have some coconut water and food ready to eat after the ceremony, when you get back to your casita. 3. If you are there on a Friday, participate in the Ceremony with Mitra. It goes all night long, and it’s an extraordinary experience! Yum. Healthy. Service with a smile. ‘Nuff said. Overwhelmed yet? 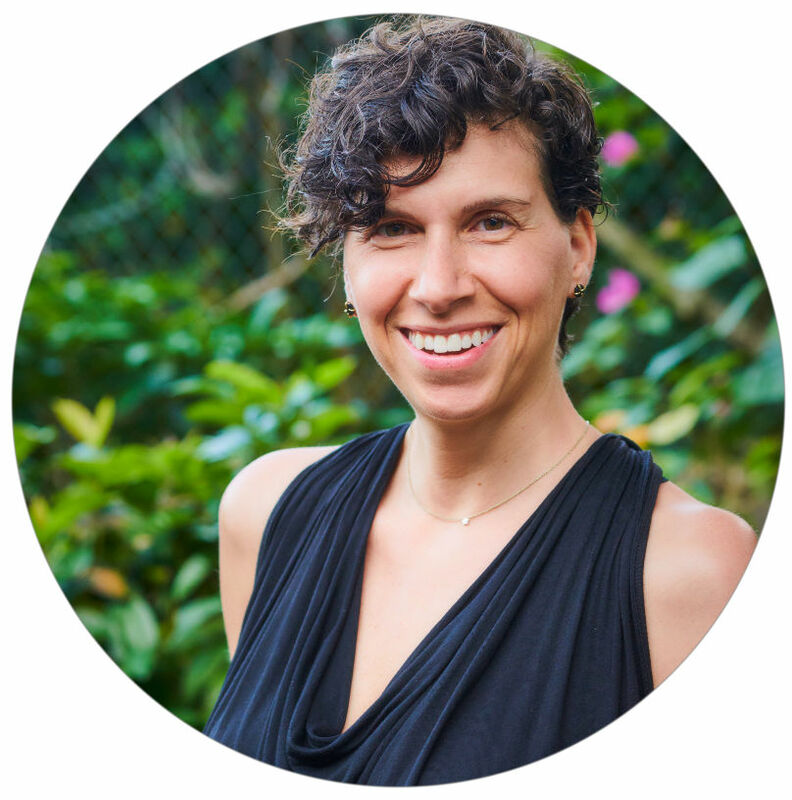 In addition to the healing modalities, there are classes too! Most weeks there are visiting thought leaders presenting mini-workshops, in addition to Rythmia’s class series. I attended as much as I could fit into my brain. Go with what resonates! I participated in nearly everything that was offered. I didn’t want to miss out, yet by the end, I was exhausted! My body collapsed on the plane and by the time we landed I had a full-blown cold! I went there for rest and needed relaxation. In the end, I did receive my miracle. However, it was in a package I didn’t expect. And that’s usually how life goes. As a bonus, I met so many beautiful people, soul sisters, and brothers, and the staff at Rythmia is gold. Since I have returned, healed, and integrated, I’ve had radical changes in my life. So, yes, I recommend a stay at Rythmia if you are seeking guidance and need something ‘new’ in your life. It may not be for everyone, but if a change is what you desire, leap, and the net will appear! Spot on Lisa! Great review! Do you think 2 weeks is too long? Should I change my res to just 1 week? It depends on what you are going for, and if you have the time, you might want to stay. What I’ve discovered in traveling is that it often takes a week just to unwind and then the second week is when the restoration process happens. My question for you would be, why did you choose two weeks? And why are you thinking to shorten it? You’re welcome, Greg! Glad to know it is helpful! Hi, you would need to contact Rythmia directly for that question. Thank you! Could you estimate how pricey it is? Or at least give a range of prices change throughout the year? And also did you book straight through them or another site? One of my friends wants to join and she is 15. Would she be able to take ayahuasca? Thanks in advanced! May Lou, please contact Rythmia directly. I do not work for the company. Thanks! Hi Lisa! im currently in the booking process for my 1 week trip in July. Im so excited, apprehensive and so many other emotions! mostly grateful for the opportunity. The only contact I have had is with “senior sales consultants” based in Malibu… did you have the same process? I’ve just found it strange to never have contact or confirmation from anyone in costa rica and its made me nervous? just wondered if that is the same for everyone. Great review Lisa. Rythmia and all it provides deserves this. What you wrote is spectacular!!!! I can completely agree with the writer. I just got back in February 8, 2019. Everything there is first class all the way. The food that Megs prepares are so healthy, beautiful, plus delicious. The staff are family by the time you leave Rythmia. There’s so much to learn about yourself while in there. It felt like I was in another real the entire week. The only change is that there are 4 ceremonies not 5. Min-Thursday, Friday free time to recover from the 12 hour Yage ceremony. Because each ceremony is with a Ayahuasca from from different regions. Brazil, Homebrew, Colombia’s “Yage”, that’s the sunset until sunrise.. An incredible experience! The bch is 10-15 minutes away, n they provide transportation to and from, while you under your personal free time. I suggest you go and check out the ocean view. I went in alone and left with 52 brand new light workers and warriors brothers and sisters. GO Rythmia group 145!!! I shed so many tears b4 I left because I knew that a huge part of my soul was being left behind in its foundation. I cannot wait to go back. Not because I did not get what I needed, but because it’s luke a reunion with my soul, plus I want to keep working with mother Ayahuasca. Rythmia is a game changer, and I’m ready to submit and re take this jou. rney very soon for my 2020 birthday. Do not hesitate, threres nothing to loose and so much to gain from this brave experience! Hi Vanessa! Thanks for your comment! Also, thank you for the updates on the ceremonies. Glad you had a great time and thank you for sharing your experience with the community! All the best with your onward journey!